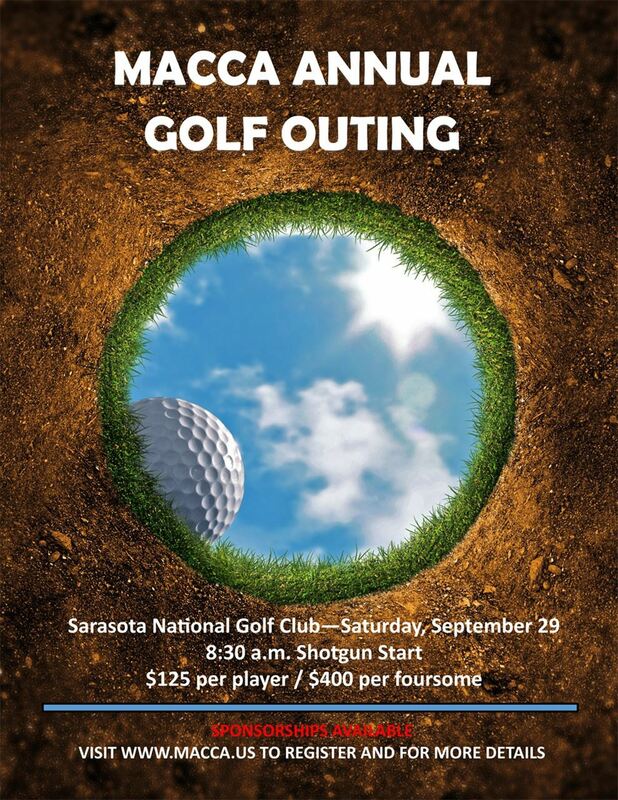 Golfing, golf cart, light breakfast, lunch, snacks, 2 drink tickets, 1 raffle ticket. Company on signage at a hole on the course, opportunity to include item in goodie bags. Foursome PLUS 20 additional raffle tickets, 1 throw per team, 5 mulligans per team, contest entry, hole sponsorship, macca website. Check in opens at 7:00 a.m. - Shotgun Start 8:30 a.m.
We are excited to share that Dixon Golf will be a sponsor at this year's Golf Outing. Dixon Golf Challenge: For a $10 participation fee, golfers will receive several gift certificates, one for a free subscription to Golf Digest for one year, and the opportunity to win a sleeve of Dixon Earth golf balls. Aurelius Challenge: For a $20 participation fee, golfers will have the opportunity to win a custom $349 Aurelius Emperor Driver or a $500 Zovatti Watch. Quality Flex and Snaprite Mfg. REME-HALO In-Duct Air Purifier - valued at $1,200 - donated by RGF Environmental Group INC.
Foursome at The Founders Golf & Country Club - valued at $500 - donated by Badger Bob's Services Inc.
Foursome at Palm Aire Country Club - valued at $400 - donated by Climatic Conditioning Company, Inc.
One White Dixon Bamboo Hat, One Sleeve of Dixon Earth Golf Balls, One Dixon Divot - Ball Marker and the ability to purchase Dixon Golf gear and balls from dixongolf.com at 50% off MSRP for one year.